In these uncertain times it is imperative to be prepared to bug out on foot if need be. Your bug out bag contents could mean the difference between staying alive or not. We all know the basics one should have for survival; a knife (check our Arthos Fixed Blade Survival Knife review here), fire starter, means to make potable water and some sort of shelter. But there is one critical survival tool that few have in their bug out bags but absolutely should! That tool is having a couple of small game traps. 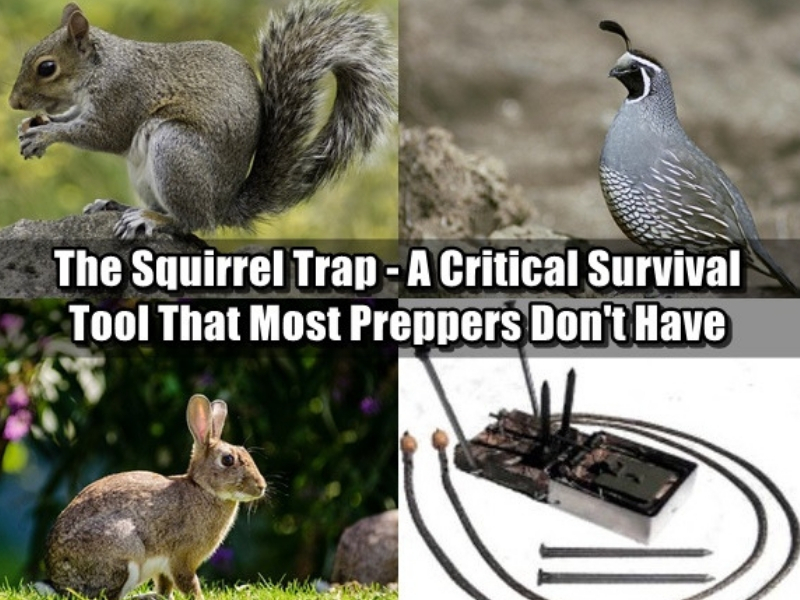 Here are some of the best squirrel traps for preppers (these can be used for most small game). Having a good trap could mean the difference between starving or surviving. Were you aware that small game animals outnumber large game by over 100 to 1? Small animals are abundant in nature. Catching them with a snap trap is easy and doesn’t take up valuable time (while in survival mode) like hunting with a rifle would. Cage traps are too cumbersome to travel with on foot and snare traps are not the most efficient way to catch a meal. Your best option is a baited snap type trap. Snap traps are a proficient form of passive hunting. You can easily carry these in a backpack and set them up a short distance from your bug out camp. When you arrive at your chosen camp, your should immediately set up the snap traps. It only takes seconds to set them up and they’re ready to catch you dinner. This gives you precious time to do other important tasks like water collection, building a fire and setting up a shelter. Each snap trap is like having a full time hunter 24/7 that never tires. The operation is also quiet, so as to not give your location away like hunting animals with a firearm would. When bugging out, trapping small game is a better means of survival food than killing large game animals. Large game can’t be eaten in one sitting and needs to be preserved. This is not feasible for most in a bug out situation. 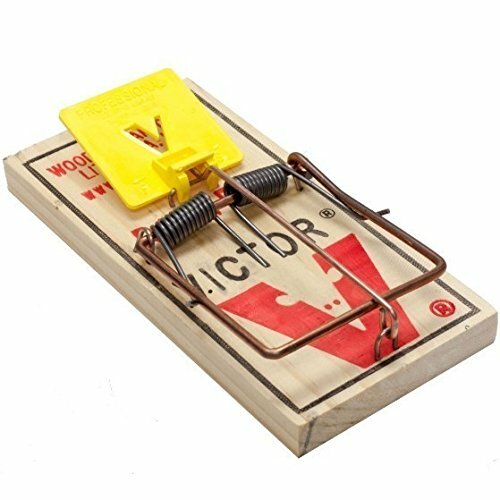 12 Victor Easy Set Rat Traps Victor Rat Snap Trap Quick Trapping of Rats M326 So what type of small game snap trap should you use? There are a handful of options on the market. We have used a modified Victor Professional Rat Trap successfully. 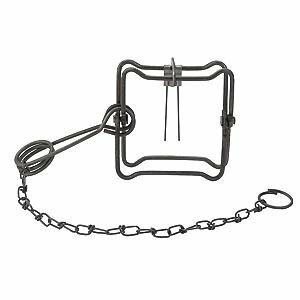 This type of modified trap is easy to use, fits in a backpack and is safer than most. With modification, these can be used to kill squirrels, birds and other small game, depending on the type of bait you use. It is not wise to use a unmodified rat trap. They are not sturdy or powerful enough to do the job right of trapping small game consistently without modification. To see these unique looking modified snap traps and get the directions on how to make or buy them there are a ton of articles and videos on YouTube. 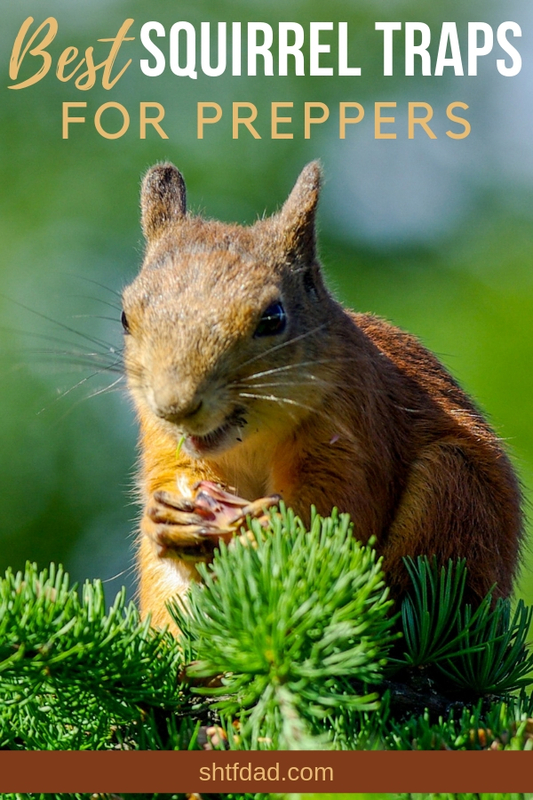 Here is a particularly good ‘how to’ article for modifying rat traps for squirrels and a bonus ‘how to’ on softening, preserving and mounting the tail. You’ll also find a delicious looking fried squirrel recipe. After you snag some squirrels or rabbits with the trap, don’t forget to try some other squirrel and rabbit recipes! and let us know on our Facebook page how they are! Check out this great video on how to set a tree set trap for a squirrel which is perfect for keeping their bodies off the ground and away from other hungry critters. I hope this information helps you better prepare for hard times, and know without a doubt which are the best squirrel traps for the situation you’re in. This guest article was submitted by Karianna.